SA Water infrastructure will now be used by irrigators in the Clare Valley Region (SA) in a new three-year trial agreement between SA Water and the Winegrape Growers Association. 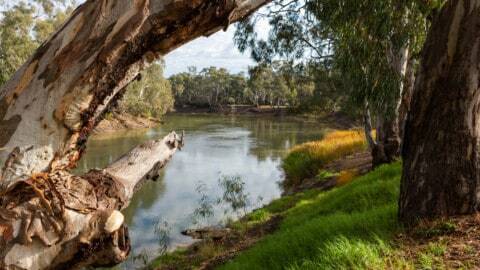 SA Water and the River Murray Minister, Ian Hunter, said the agreement will mean water will be transported via the Morgan to Whyalla pipeline and the Clare Water Supply Scheme to the region’s vineyards during the peak summer period. “The water is to be secured under irrigators’ River Murray water licences and transported at a cost that delivers water for less than SA Water’s statewide price,” he said. “All South Australians pay the same price per kilolitre for water from SA Water, regardless of the cost of supplying that water. “We consider this the most equitable way to spread the cost of providing and maintaining basic water facilities across the state. SA Water already offers an off-peak water transportation service in winter, but this new trial aims to assist irrigators during the peak period from the beginning of December to the end of March. “SA Water has worked closely with the association over the past year or so to reach this outcome,” Mr Hunter said. “The company is confident the arrangement will deliver price relief to the irrigators, at no additional cost to SA Water’s other customers. “This is a great example of government working with local industries to deliver economic benefits to regional areas. Irrigators have until 1 July to sign up to the scheme, and the viability of the scheme and final volume to be transported will be determined by the end of October 2015.